To view 8 more pictures, interactive maps and the full, detailed description of the The Paired Homes at Warrington Hall community, please Login. New home communities like Warrington Hall don't come along too often. Find a new construction townhouse or paired house in this one of a kind development. The Reserve at Warrington Hall caters to the 55 and better crowd, The Paired Homes at Warrington Hall offers single-family homes, which happen to be attached and The Carriage Homes at Warrington Hall accommodates larger families with four-bedroom townhomes. And everything is all in one convenient place- Chesapeake, VA. 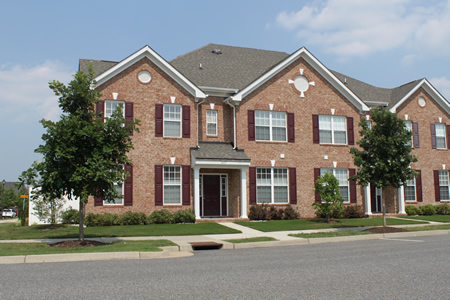 Residents can easily commute to military bases like NAS Oceana, the Coast Guard Finance Center and Naval Medical Center Portsmouth. Send me more information about the The Paired Homes at Warrington Hall new home community. Our agents gladly offer FREE property tours of The Paired Homes at Warrington Hall, Chesapeake and homebuyer consultations to all serious buyers.